The RaceQuip Euro Carbon-L Racing Shoe has all the features you’d expect to find in a shoe costing much more. This new lightweight flexible design incorporates durable construction features like a reinforced lace area and double-stitched seams. 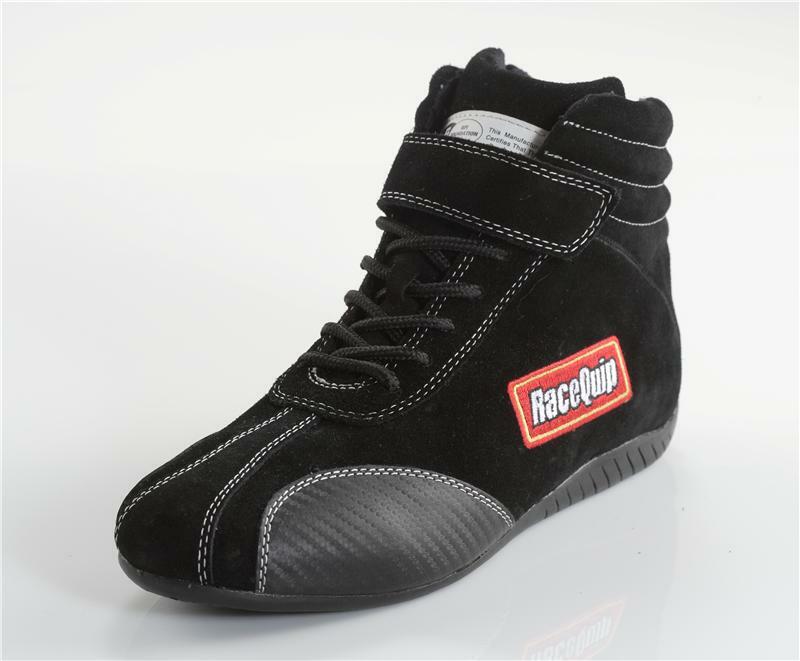 The high traction molded rubber sole rolls up the back of the shoe to provide extra support for your heel while driving. 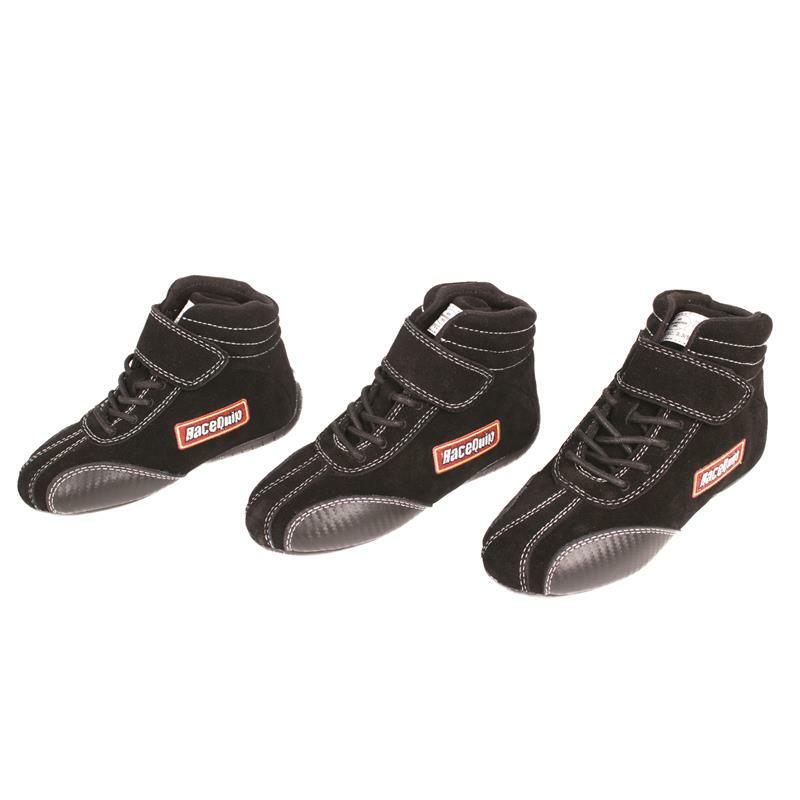 We’ve added Carbon-L wear pads on both sides of the toe for added protection and durability in the high heat/high wear areas. These shoes feature a soft suede leather outer layer that uses contrasting stitching and European styling to give the shoe a unique look. The liner is constructed of flame retardant Pyrovatex® and has additional padding at the ankles plus built-in arch supports. The design also utilizes our unique Achilles flex opening in the back to allow easy foot extension. 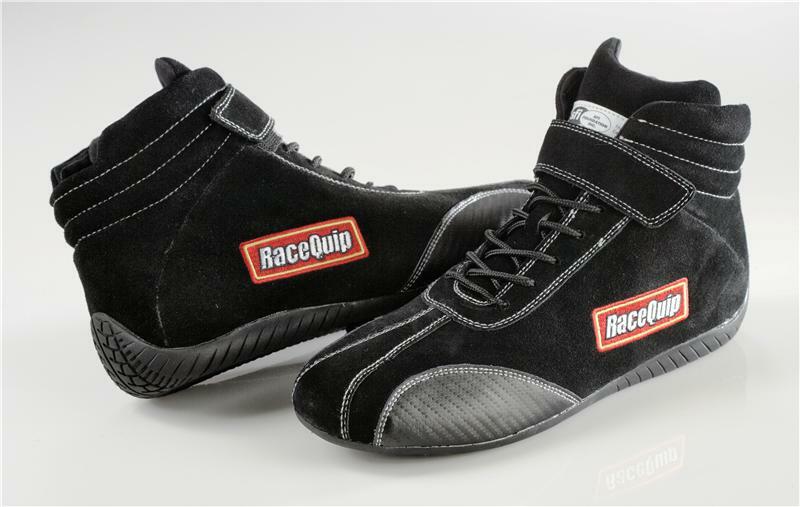 The RaceQuip Euro shoe weighs in about 30% less than a standard racing shoe. 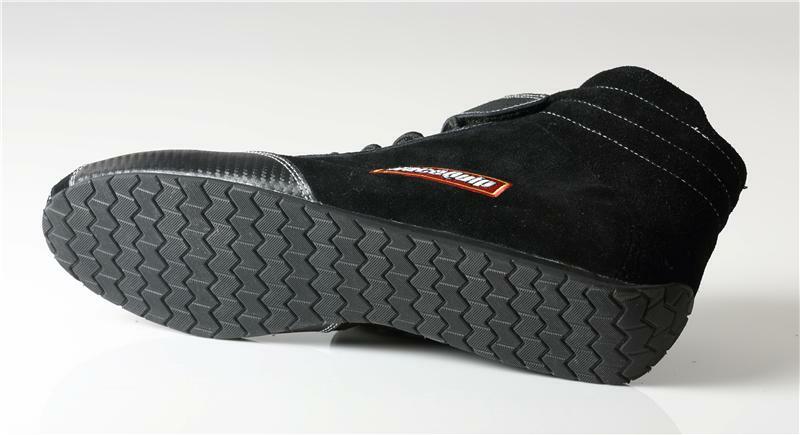 The design of this shoe perfectly blends light weight, durability, comfort and pedal feel. SFI rated to meet 3.3/5 specification. 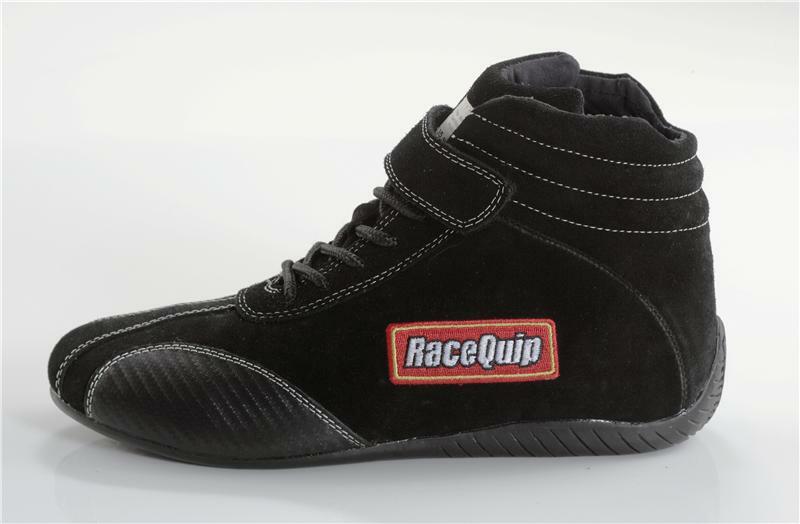 Available in black, youth sizes 1-7 and adult sizes 7.5-20.